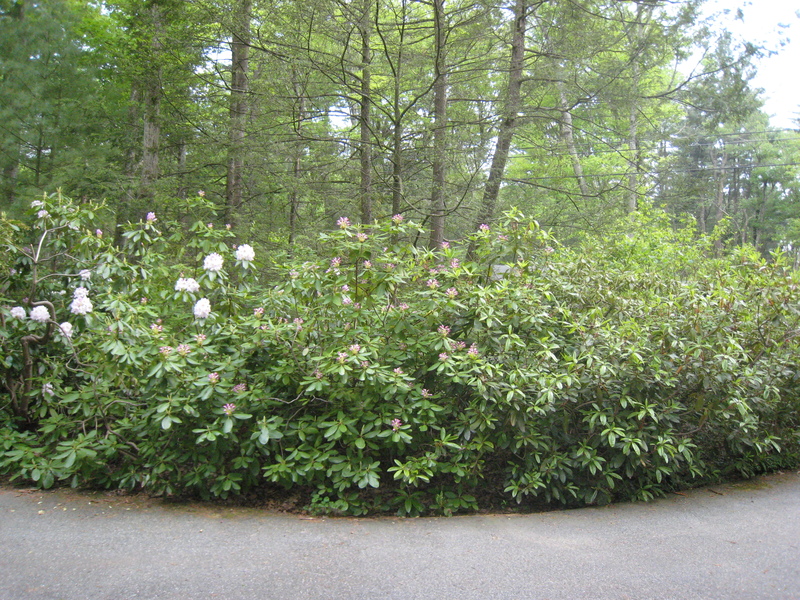 I have some rhododendron along my driveway that are probably over 45 years old. Some are doing fine but some have a peculiar problem. Their blooms develop at the same rate as their neighbors until they stop in the middle of the process, do not develop any further and wilt slowly. The leaves appear to be entirely healthy. I have tried to find any references to this on the internet, but I have not succeeded. I thank you in advance for considering this problem. Thank you for sending the pictures along with your question. In looking at the pictures, it appears that the blooms that haven't fully opened might have been damaged by the frost this past April. As you may remember, February and March were warm months and the shrubs that were dormant for the winter began to think that it was spring and so they moved along in their bud opening. Then in April, the weather changed radically and there were many cold, below freezing nights that may have damaged the blooms. Why some of the blooms were undamaged and some were damaged may have to do with the possibility of protection from frost or the way that wind currents moved among the shrubs. In looking at the overall pictures of your rhododendrons, they appear to be getting a bit leggy and as they are older plants, you may want to help them by pruning them using a rejuvenation method. Here is a suggestion on how to do this safely. Rejuvenation Pruning: As rhododendrons age they lose leaves and often become open and very leggy. Rejuvenation pruning, can be useful to reshape a plant. By pruning just above viable dormant buds, new healthy growth can be directed to obtain a more desirable shape. 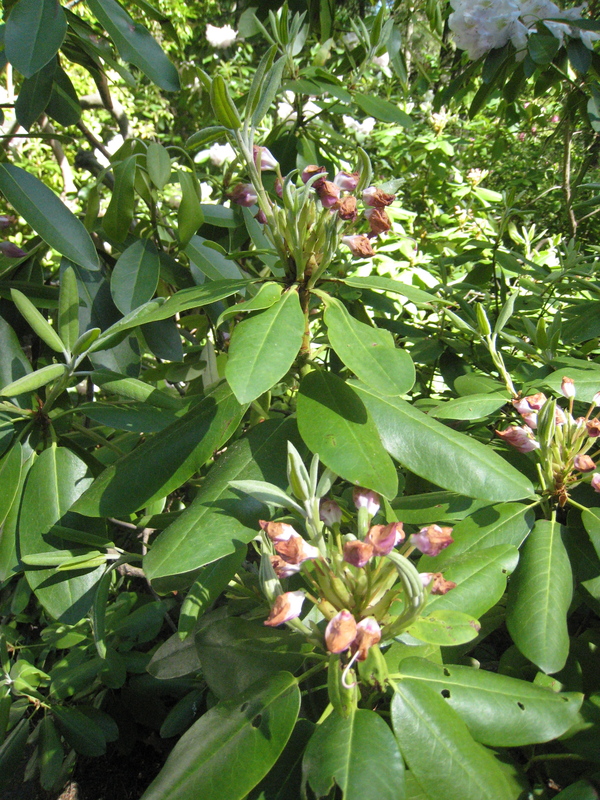 The larger-leafed rhododendrons have many dormant buds that can be forced into new growth. However, on very old wood, the dormant buds may have atrophied and are not viable. So there is some risk that drastic pruning may not be successful. A safe procedure is cut out about one-third of the old wood spread over a period of three years. In this way, there remain sufficient leaves to supply nutrients to keep the plant growing successfully each year. You don't want to prune until the plants have finished blooming for this season. So wait a couple of weeks and then you can begin to prune the shrubs.